Gifts are precious and a well thought out gift not only capture smiles in the moment, but bring memories for a lifetime. Nothing says I love you more than a personalized gift. Merging design with personalization, Paintnest offers handmade gifts that help turn your house into a home. Established by a pair of young designers from Italy and Hungary, find unique and cute designs from personalized pillows and personalized children’s blankets. 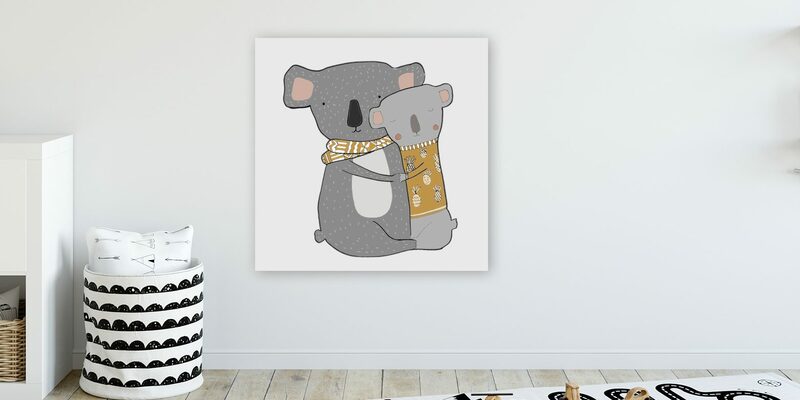 You can find uniquely designed gifts featuring original illustrations such as a cat pillowcase, dinosaur throw, or a unicorn blanket and more for baby custom pillows and even baby towels. Since everyone has their own style, all designs come with the option to customize them, either with a name or a special message. Simply, just select the design you want, such as a Native Indian design throw, with the name or message you’d like featured on the design and we will present the final design before printing your gifts and sending them to you. So whether you’re looking for a customizable children’s pillow, baby cover or baby towel, simply pick the design and we’ll take care of the rest. As the sound of the bells get closer and gift-giving season is round the corner, you can pick a gift from one of our upcoming collections. We’ll launch our bag collection, from make-up bags to personalized children’s game bags, and even wall prints with an optional frame. Give your children’s room a unique look that merges perfectly with their room. Does your child love dinosaurs? Then make their room the perfect den with a customized dinosaur pillow and a dinosaur print on wall – and add that special feel with a personalized touch. Sometimes, it’s too easy to accidentally give the same, generic gift as someone else, but at Paintnest we’re here to help you give something different. With the combination of our own designs and the option to personalize our gifts means that you will truly give them something that’s one of a kind and made especially with them in mind. Give them something that they can love and cherish forever.